China with its capital Beijing is located in Asia (Eastern Asia, bordering the East China Sea). It covers some 9,596,961 square kilometers (slightly smaller than the US) with a population of 1,379,300,000. Chinese, Uighur and Zhuang are the languages spoken by people in China (consider regional differences). Afghanistan, Bhutan, India, Kazakhstan, Kyrgyzstan, Laos, Mongolia, Myanmar, Nepal, North Korea, Pakistan, Russia, Tajikistan and Vietnam are bordering countries. 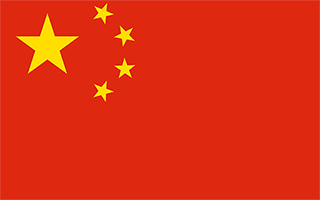 China is a vast country in Eastern Asia with the world's largest population. For centuries China stood as a leading civilization, outpacing the rest of the world in the arts and sciences. Paper, gunpowder, the compass or printing. China is a one-party authoritarian state ruled by the Communist Party of China. The government consists of an executive branch known as the State Council. China is a very diverse place with large variations in culture, language, customs and economic levels. China is a huge country with endless and affordable travel opportunities. During holidays, however, millions of migrant workers return home and millions of other Chinese travel within the country. Travelers may want to seriously consider scheduling to avoid being on the road or air during the major holidays. Generally International Driving Permits are not recognized, which doesn't allows foreigners to drive in China without a Chinese license. China's attractions are endless and you will never run out of things to see. Especially near the coastal areas, if you run out of things to see in one city, the next one is usually just a short train ride away. If you are planning to spend a longer time in China then you may want to consider learning some of the traditional arts. Food in China varies widely from region to region so the term Chinese food is pretty much a blanket term, just like Western food. While visiting, relax your inhibitions and try a bit of everything. Although you may hear locals complain about increasing crime rate, violent crime remains low. Many tourists will more likely feel safer in China than in their home country. The terrain is mostly mountains, high plateaus, deserts in west having plains, deltas, and hills in east. The average density of population is about 144 per km². The climate in China can be described as extremely diverse with tropical in south to subarctic in north. Possible natural disasters include China contains some historically active volcanoes including Changbaishan (also known as Baitoushan, Baegdu, or P'aektu-san), Hainan Dao, and Kunlun although most have been relatively inactive in recent centuries, damaging floods, droughts, earthquakes, frequent typhoons (about five per year along southern and eastern coasts), land subsidence and tsunamis. To reach someone China dial +86 prior to a number. The local cellular networks are operated on 900 MHz, 3G, 4G. Websites typically end with the top level domain ".cn". If you want to bring electric appliances (e.g. battery chaarger), keep in min the local 220 V - 50 Hz (plugs: A, C, I). The sign for the locally used currency Yuan Renminbi is CNY. Red with a large yellow five-pointed star and four smaller yellow five-pointed stars (arranged in a vertical arc toward the middle of the flag) in the upper hoist-side corner; the color red represents revolution, while the stars symbolize the four social classes - the working class, the peasantry, the urban petty bourgeoisie, and the national bourgeoisie (capitalists) - united under the Communist Party of China.